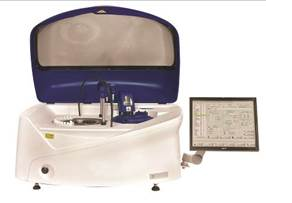 EKF Diagnostics announces the UK launch of the Altair™ 240 clinical chemistry analyser at the Institute of Biomedical Science Congress 2015 in Birmingham, UK, 28-30 September. This new bench-top platform represents EKF Diagnostics’ first fully integrated chemistry system designed for the global market. Also on Stand 812, EKF will highlight the latest additions to its range of Stanbio liquid-stable, LiquiColor® and Liqui-UV® clinical chemistry reagents, including an assay for Procalcitonin - an important adjunct marker in the diagnosis of sepsis. Other assays from the Stanbio Chemistry range can also be seen at Stand 812 including the B-Hydroxybutyrate (B-HB) LiquiColor® Assay for ketosis testing and the Glycated Serum Protein (GSP) LiquiColor® Assay, a two-three week indicator of average blood glucose. In addition, EKF Diagnostics’ Quo-Lab™ and Quo-Test™ – devices for the accurate measurement of HbA1c – will also be showcased at IBMS, as will the Hemo Control haemoglobin analyser.